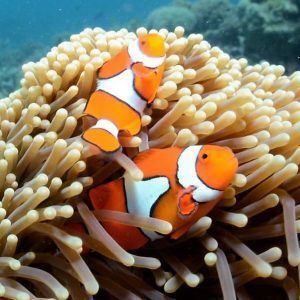 We often hear people talk about visiting the Great Barrier Reef or scuba diving the reef and while we know it is a great thing, the reef is really to large to talk about as one thing. We know it is big but we seldom think how big. The Great Barrier Reef , GBR, is the biggest living thing in the world and the only living item that can be seen from space. At the same time the Great Barrier Reef is made up of over 3,000 individual reefs, 900 islands and another 150 inshore islands. It is over 2,400 kilometres long, that is equal to the entire west coast of the United States. It width varies from about 60 kilometres to 250 kilometres long. Second place goes to Belize’s barrier reef a mere 290 kilometres long. Length times width gives the area, in the case of the Great Barrier Reef it is 334,400 square kilometres. Numbers not mean much to you? Then make a blanket from the land mass of United Kingdom, Switzerland and Holland, it won’t quite cover the reef but will be close. Or use the country of Germany it also a close fit. The Great Barrier Reef Parks Website has some more interesting comparisons. The Great Barrier Reef is so large that here is a virtual endless choice of places to dive. 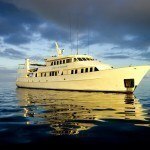 Most of the diving with commercial companies, day dives and Liveaboards included, are in Townsville/Whitsundays and the Cairns/Cooktown management areas. Townsville has some good dive sites but the reefs are generally further away from land than in other popular diving centres on the reef. Wheeler Reef is well known for its great visibility and variety including canyons and a few small caves. Scuba Divers and snorkelers of all experience levels will find this an interesting range of dive sites. Magnetic Island is the closest location for diving but it suffers from reduced visibility. One site puts Townsville on the international map of diving more than the others combined, that is the historic S.S. Yongala wreck. The ship went down in a storm in 1911 with the lost of all aboard. Sitting in 15 to 30 meters of water her location was unknown for about 50 years. 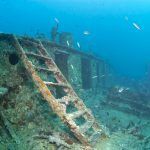 She is one of the best known ship wreck dive sites in the world. While she is a three hour boat ride from Townsville, some Townsville dive centre drive one hour to the town of Ayr and take a 30 minute boat ride from there. The Whitsunday island area offers a good range of diving for all skill levels and many outstanding snorkeling sites as well. The Whitsunday islands number 74 but only eight are inhabited. Dive centres are clustered around the eight islands and the town of Airlie Beach on the mainland. 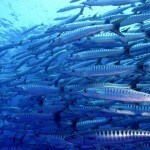 Scuba Diving is available as shore dives, semi-shore dives and boat dives including both day boats and Liveaboards. The Whitsunday Islands are also one of the best known sailing destinations in the world and you will find charters that are primarily for cruising purposes but have scuba equipment available. The resort islands all have areas where the reefs can be reached from shore. Often the reefs are a mere few meters from the beaches. The semi-shore dives, okay we made that name up but what would you call a shore dive from a beach where you had to take a boat to reach it? Many the islands have wonderful white sand beaches with reefs just a short distance away. The boats generally will bring the divers to the shore and a dive is done from there. 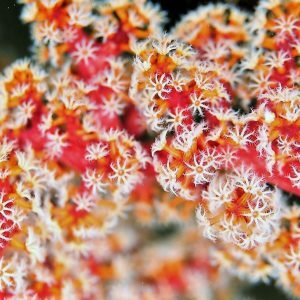 There are also a number of outstanding reefs such as Hardy reef. 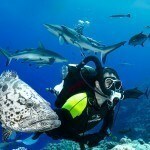 The Cairns/ Cooktown management area is very active in the scuba diving industry. 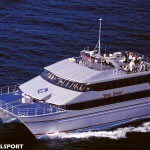 The Cooktown section contains the world famous Ribbon Reefs and the equally famous Lizard Island. Lizard Island is a national park with one exclusive resort and a small camp grounds. The only schedule transportation is a small flight service that has a daily flights and offers a 6 hour day tour. 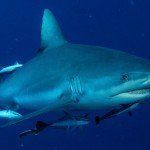 While the resort does have limited diving available for its guest only, the diving in this area is done from Liveaboards from Cairns that uses Lizard Island as a transfer point. 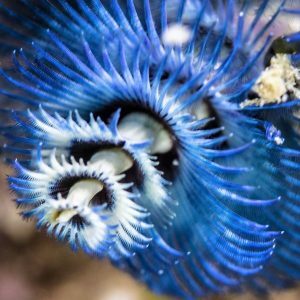 The ribbon reef are ten reefs plus an assortment of Brommies and minor reefs that stretch over 50 miles. These reefs are also continental shelf reefs. The Cairns section includes a range of outstanding fringe reefs. Cairns is the closest city to any part of the outer reef. The outer reefs,along the entire stretch of the Great Barrier Reef, are the divide between the coastal areas and the continental shelf. It simple terms one side is calm and relatively shallow, the other side wild and a thousand meters deep. The outer reefs in this area, such as Hasting reef, Michaelmas Cay reef and Saxon reef, provided the diver the opportunity to experience multiple outer reefs in a single day. The Cairns/ Cookstown management area has the largest selection of diving Liveaboards in Australia, as well as numerous daily dive boats. 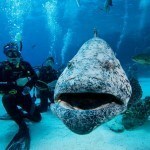 The Great Barrier Reef represents the premier scuba diving adventure in the world.